Welcoming friends and family into our homes is a universal joy. Traditional symbols of welcome such as wreaths, pineapples, flowers, are represented in these figures that express ‘best wishes’, ‘happy new home’, ‘thanks for hosting’, and ‘you are welcome here’. 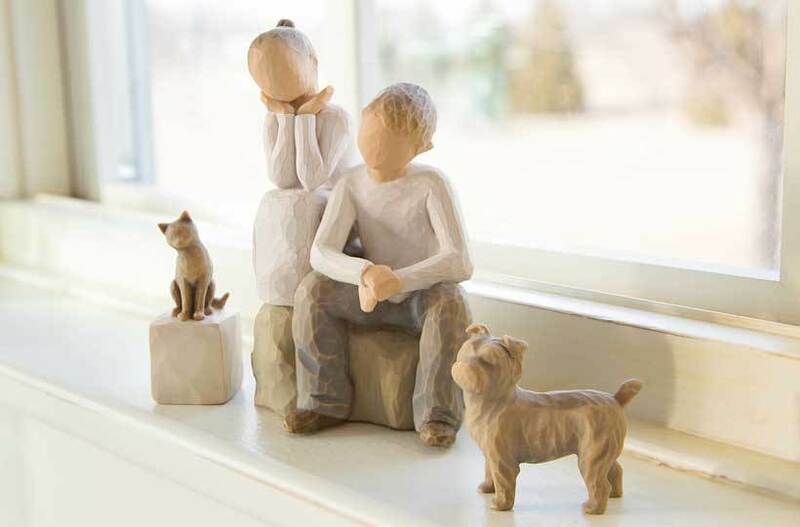 Willow Tree figures and angels communicate a universal message of togetherness and welcome, which make expressive hostess gifts or housewarming gifts. Figures like Welcome Here portray the warmth and joy of spending time together with friends and family. Figures can also be used to show gratitude when given as a thank you gift.